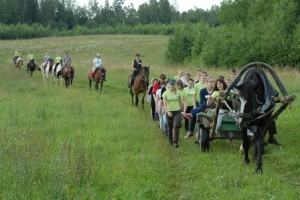 Tours in Nature Park “Daugavas loki” (Daugava bends) and near Latvian – Belarusian border. 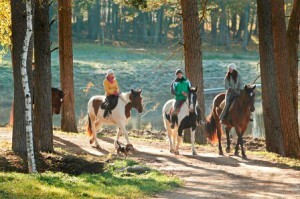 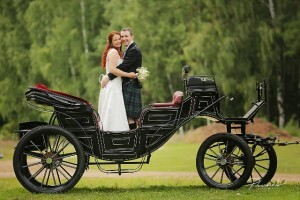 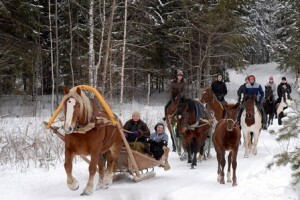 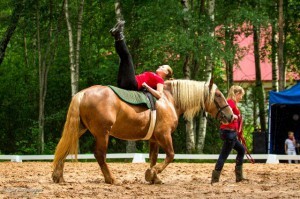 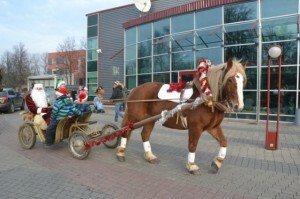 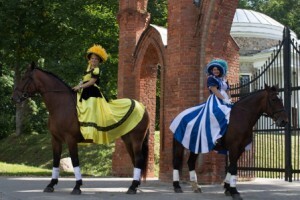 The price includes services of a guide-instructor, an equipped horse, overnight stay, catering and sauna for one evening. 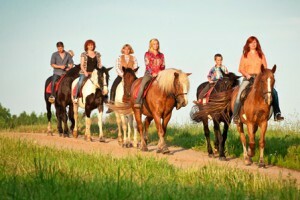 The programme can be combined with boating or rafting according to guests’ wishes. 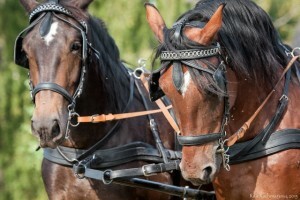 At least two participants needed. 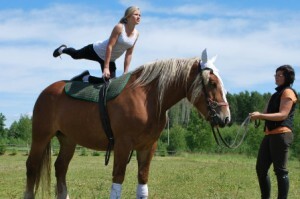 Exercises at a walking pace, trotting and galloping – sitting straight, backwards, sidewards, on knees, standing.